Just three boys have broken the 1:50 barrier in the 800m indoors all-time. Oak Park (MI) High's Cameron Cooper, now with LSU, was the last do to it last season, while Robby Andrews owns the all-time mark of 1:49.21 back in 2009. But just two runners in the top 10 nationally last season return in the event, including Bishop Shanahan (PA) High's Josh Hoey. The Oregon signee will need to cut three seconds off his best of 1:52.21 to hit that elusive mark this campaign. 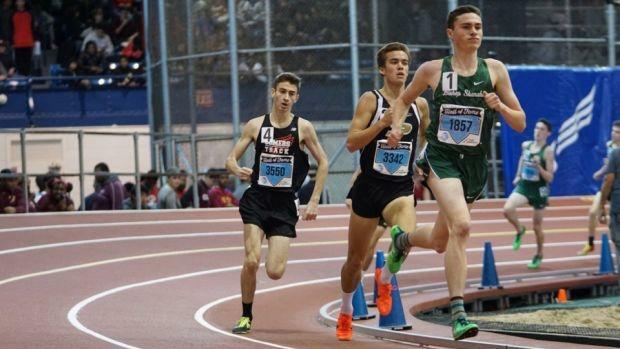 Find out where he stands along with the rest of his class from last year's top 300 boys. You can also review the best 300 boys of all-time and over the last five years.